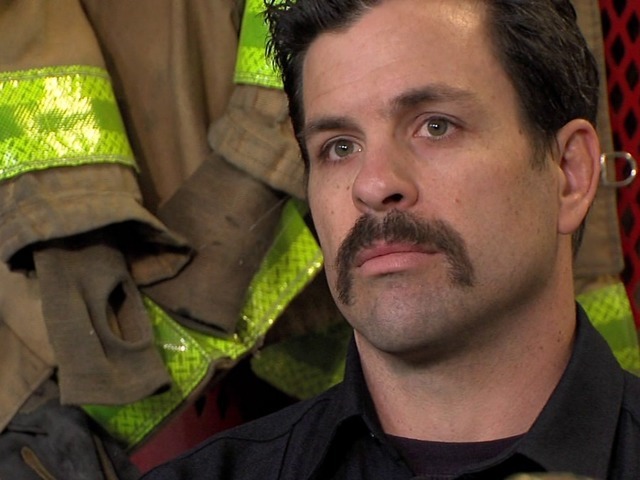 Firefighters: Are their uniforms a cancer risk? SAN DIEGO -- We know firefighters risk their lives to save others during fires. But did you know there's something that happens after the flames are out that could be putting them in danger? It's their uniforms, which carry all of the toxins they encounter on the job -- toxins that can ultimately lead to serious health problems, like cancer. In a multi-year study , conducted by the National Institute for Occupational Safety and Health (NIOSH), researchers looked at more than 30,000 career firefighters who served in Chicago, Philadelphia, and San Francisco Fire Departments between 1950 and 2010. It is the largest study of United States firefighters ever conducted. The study examined more than 40 types of cancers and found a modest increase in cancer rates among firefighters versus the general population. Doug Daniels, the director of the NIOSH firefighter cancer study, told Team 10 they also looked at fire exposure and found that increased exposure also increased firefighters risk of lung cancer and leukemia. There are various chemicals firefighters come in contact with. “Field studies of firefighting atmospheres have shown increased concentrations of several known carcinogens such as arsenic, asbestos, benzene, benzo[a]pyrene, 1,3-butadiene, cadmium, formaldehyde, diesel exhaust, and silica. Suspected carcinogens included acetaldehyde, furan, polychlorophenols, and a host of others,” Daniels wrote in an email to Team 10. In addition, the Illinois Fire Service Institute used that data to conduct a separate study. This year, it sent firefighters into staged fires to understand chemical exposure. It also looked at different ways of cleaning firefighters’ gear. The funding for the separate study came from the Department of Homeland Security. The preliminary results will be published in the next few months. Our sister station in Milwaukee recently investigated whether their fire departments have the proper equipment to clean their uniforms -- namely a washer and dryer. Their I-Team investigators discovered that out of 36 fire stations only a few had the equipment . Of course that raises questions here in San Diego. Do our firefighters have what they need? San Diego Fire-Rescue has 48 regular stations. Each station has a basic washer and dryer. Four stations have two sets, including a set donated by a community group. “Even as you wash the gear, there’s still some components in these non-heavy duty commercial washers that just can’t get all that out,” Davis said. Some departments across the country have bigger industrial washers that clean uniforms much better. “We’re doing what we need to do in terms of being compliant,” said San Diego fire chief Brian Fennessy. Chief Fennessy said they are looking at getting a couple of industrial washers and dryers, but they can cost around $10,000 to $15,000 each. “I've lost many friends to cancer that have worked in the fire service and I've been exposed myself over my 38 years to chemicals and products that now are banned, you can't even get a hold of,” Chief Fennessy said. San Diego firefighter Marc Davis said chemicals found inside a home when it burns are extremely dangerous. “You name it -- any of the junk you got underneath your kitchen sink, you look at the label on how something's manufactured, it's deadly stuff,” said Davis, who oversees health and safety for the firefighters’ union, Local 145. The Illinois Fire Service Institute study could help uniform manufacturers improve their designs. Those improvements would include the machines used to wash the uniforms. “We don't want to bring this stuff home to our families,” Davis said. Bone has been with the department for seven years. “I grew up in the fire service. My father was a firefighter,” Bone said. As a kid, he saw his dad helping others and he said he went to follow in his father’s footsteps. He wasn’t very far into his career when things took a wrong turn. A fellow firefighter found out he had cancer and encouraged Bryan to get checked out as well. Bryan went to the doctor in 2009 and found out he had testicular cancer. “The women were really emotional, my mom and my sisters. My dad just said we're going to fight it and beat it,” Bone said. Fortunately he caught it early, but not everyone does. San Diego fire captain Ricky Nelson died a few years after retirement from kidney and colon cancer. When firefighters get cancer on the job, or shortly after retirement, it is considered work-related by law. The presumptive law coverage is in effect in more than 30 states, including California.